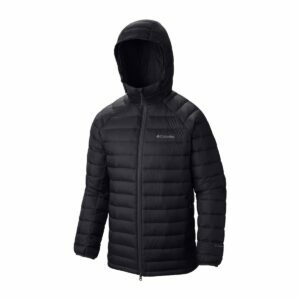 Win one of 5 TurboDown Hooded Jackets that were Tested Tough by Columbia’s employees in Portland, Oregon, USA. These TurboDown jackets have been Tested Tough by Columbia’s employees in Portland, Oregon, USA. In a fog blizzard. Yes, they have fog blizzards. We have 5 such jackets to giveaway. Tell us about a time when your toughness was tested for your chance to win. Competition closes at 3:00pm on November 14th. Click here to enter. For full terms and conditions, please read below or download here. The following are the terms and conditions of the Great Outdoors Columbia Tested Tough TurboDown Giveaway. •Winners will be notified via email and prizes must be collected in-store within 30 days of their entry or the prize will be considered forfeit and used in an alternative competition in the future. suspend the competition if, in their sole judgment, the competition is not capable of being conducted as specified. •Winners will be announced via social media channels on Monday, November 16th. •Closing date for all applications is 3:00pm on Saturday, November 14th. •Colour of prize may vary. Images used for illustrative purposes only.